For over a hundred years dental amalgam — a combination of silver, mercury, tin and other metals — has been an effective filling material for teeth damaged by decay. But it has one major drawback — its metallic appearance stands out in stark contrast to the natural color of teeth. As an alternative, composite resin fillings can match the color, shape and texture of natural teeth. These materials and the techniques used to bond them are proving just as effective as and more aesthetically pleasing than dental amalgam. Fillings help protect and preserve a decayed tooth. By first removing decayed tooth structure through drilling, the resulting void is filled with durable material that strengthens the tooth and provides it protection from further decay. The ultimate goal for restoration is to return the tooth to as near normal form and function as possible. Dental amalgam serves well in terms of function, providing the tooth strength in the face of the daily biting forces it encounters. 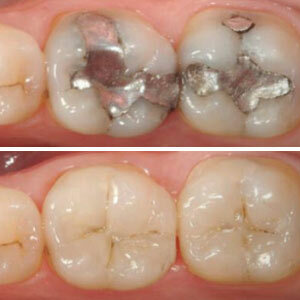 In contrast, composite resins excel in appearance, but haven’t always matched the durability of amalgam. They’re material construction has improved over time, though, as well as the techniques used to bond them to teeth. Most of these bonding techniques incorporate layering. The first step is to seal the dentin (the porous, living tissue just below the enamel); we then build up the composite material layer by layer within the tooth using special bonding adhesive and curing lights. In some cases where a large volume of tooth structure must be replaced, the restoration is first formed on the tooth and then removed for curing before being cemented into the tooth or a separate restoration is formed by a dental lab. The end result is a tooth which both looks and functions like a fully intact tooth. Though care must be taken not to subject composite resin restorations to undue forces (no cracking open nutshells, for example), your new filling should continue to serve you and look great for a long time to come. Discovering a loose tooth can be exciting — if you're six, that is, and anticipating a windfall from the tooth fairy. If you're an adult, a loose tooth is a different story. You're in real danger of it becoming a lost tooth, and there won't be another one coming in to replace it. Fortunately, that result isn't inevitable, but we have to take quick action if we're going to save your tooth. The first step is to find out why it's loose. Tooth looseness occurs primarily because the gum and bone structures that hold teeth in place have been damaged in some way. Otherwise healthy teeth and gums can be injured in an accident or with dental habits like teeth grinding or clenching that increase the biting forces against teeth. The latter could require some intervention like a night guard to prevent teeth from grinding to reduce the abnormal biting force. But disease is often the root cause for tooth looseness. Periodontal (gum) disease, a bacterial infection triggered by bacterial plaque, can inflame and weaken gum tissues, eventually causing bone loss followed by the gum tissue detaching from the teeth. 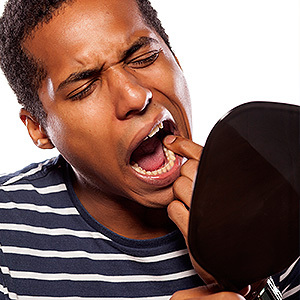 In this weakened condition even normal biting forces could loosen a tooth. If gum disease is the primary culprit, our treatment starts there. By aggressively removing plaque and calculus (tartar) from the tooth surfaces, including deep below the gum line around the root, the gum tissues become less inflamed and begin to heal. This in turn can strengthen their attachment to a loose tooth. In more advanced cases, we may need to surgically graft lost bone and gum tissue to rebuild the attachment. We may also need to stabilize a loose tooth while we're performing these other treatments. The most common way is to join or splint a loose tooth to nearby stable teeth. There are varieties of splints: one type involves rigid dental material bonded across the enamel of the loose tooth and its neighbors. In another, we cut a small channel in the involved teeth, and then insert a metal splint, bonding it within the channel. Whatever needs to be done, we need to do it promptly — if you notice a loose tooth, contact us as soon as possible. The earlier we begin treatment the more likely we'll save your loose tooth. 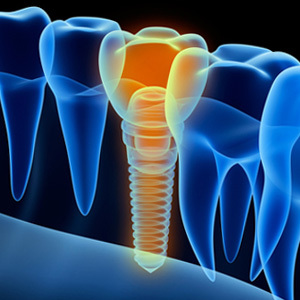 The dental implant is the closest thing in modern dentistry to a natural tooth. This is because an implant replaces more than the visible crown — it also replaces the root, thanks to a metal post imbedded in the bone. But what if you have a metal allergy — are you out of luck replacing a tooth with an implant? Before answering this question, let's take a closer look at metal allergies. An allergy is an overreaction of the body's immune system to a particular foreign substance. This response can be as inconsequential as a minor rash or as life-threatening as a shutdown of the body's organ systems. You can be allergic to anything, including metals. Usually, these allergies are to specific kinds of metals. For example, about 17% of women and 3% of men are allergic to nickel, while smaller percentages are allergic to cobalt or chromium. Most allergic reactions to metal occur from external contact with jewelry or similar metal items that create rashes or other anomalies on the skin. On a more serious note, an allergy to metal in a body replacement part could result in the body rejecting it. Metals have also played an important role in dental care, particularly dental amalgam used for tooth fillings. Dental amalgam is a mixture of a precious metal like gold or silver with other metals like copper, tin and, in small amounts, mercury. While dental amalgam has been used safely for decades, there have been rare cases of inflammation or rashes. This brings us to dental implants and the most common metal used in them, titanium. The commercial version of this metal is highly prized in medical and dental applications because it has a special affinity with bone. Bone cells readily grow and adhere to the metal, which strengthens the bond between the implant and the jawbone. Even if you have a rare allergy to certain metals, it's even rarer that would include titanium. 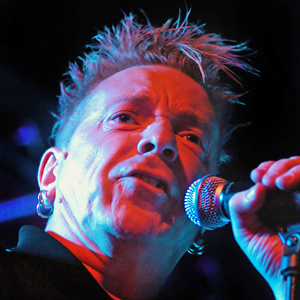 In one particular study of 1,500 implant patients less than 1% reported any reaction at all. If you're concerned, you can undergo testing to see if you react to titanium. More than likely, though, you'll be able to join the millions of other patients who have successfully restored their smiles with dental implants.